On the “eleventh hour of the eleventh day of the eleventh month” 1918, the Allies and Germany signed an armistice, marking the end of the First World War. Today is a day where we remember and honour those who fought and lost their lives so that we can live in the world we live in today. On the eleventh hour today, millions across the country gave a two minute silence to honour and remember those fallen. It is tradition to wear poppies in remembrance of those who lost their lives. The tradition came about by an American who sold silk poppies to friends in an effort to raise money for the ex-servicemen and women’s community. The first UK poppy day was in 1921. Poppies were the only plants to grow on the battlefields after the First World War ended. The poppy was brought to the public’s attention in John McCrae’s poem In Flanders Fields, which he wrote whilst serving in Ypres, Belgium during the war in 1915. This poem is a very famous poem used in remembrance of those fallen during the war and so here at Ink n Toner UK, we’ve created a printable of the poem that you can print out and read in remembrance of those who gave their lives in the First World War. 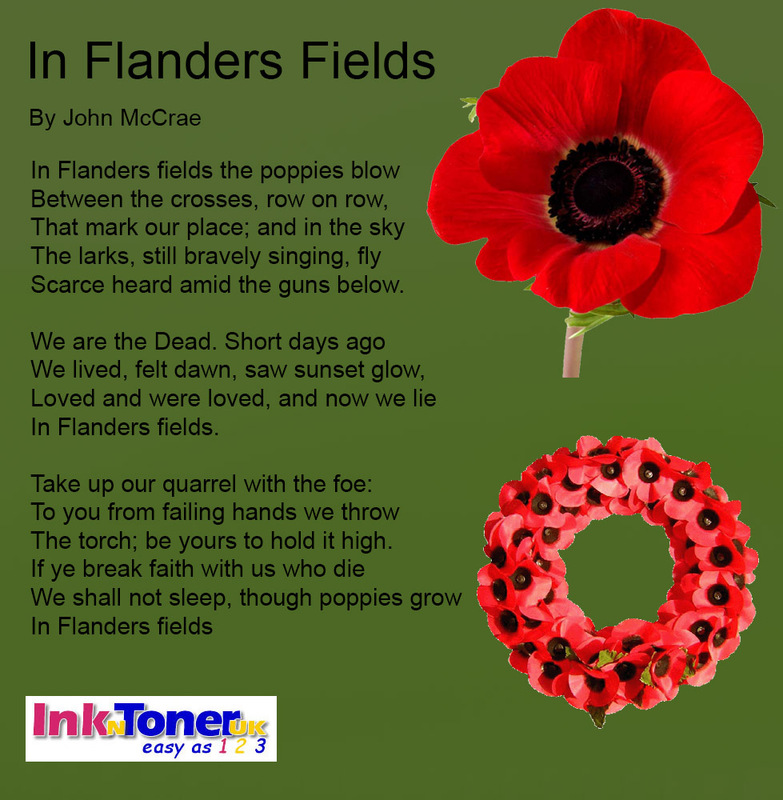 Need ink or toner cartridges to print out your In Flander’s Fields poem? 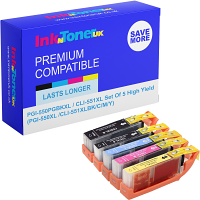 Here at Ink n Toner UK, we’re dedicated to providing you with the ink and toner products that you need for the most affordable price. Click here for ink cartridges and click here for toner cartridges. Click the poem below to print out your In Flander’s Fields poem.